Looking for a weekend getaway or vacation spot for the family that reminds you of summers spent in Adirondack chairs, playing Shuffleboard, and kayaking on the lake? Then the Weekapaug Inn will make you very happy indeed. Throw in a pristine ocean beach and you have the best of both worlds. 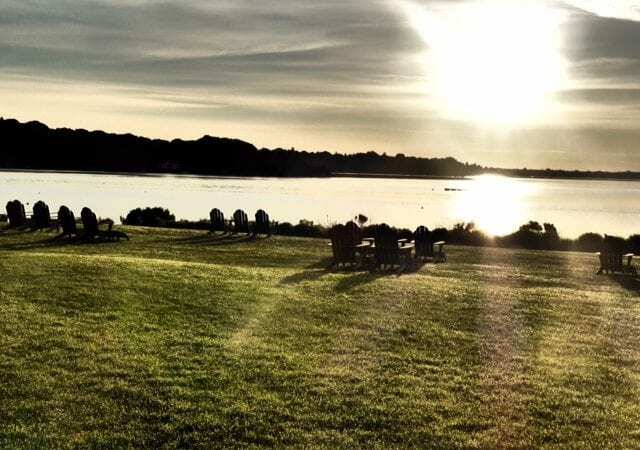 Located on the coast of Rhode Island, just over the Connecticut border, this year-round resort offers much to keep the family entertained. Combined with its sister property, the Ocean House, just down the road, you have two gorgeous resorts at your disposal. 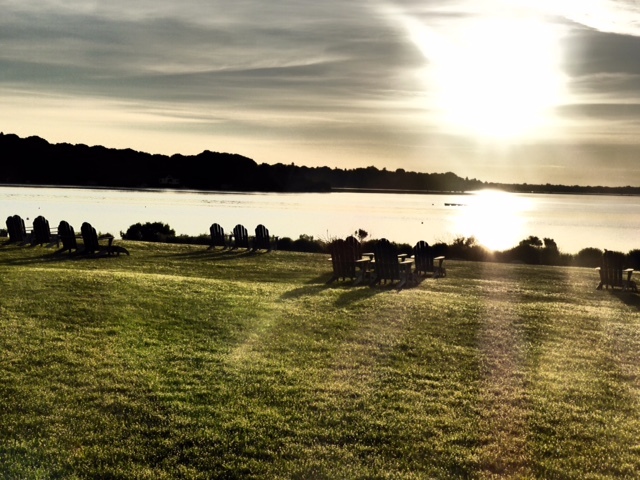 Sunrise at Weekapaug Inn, Rhode Island. Photo credit Sherry Wernicke, Triathlon Traveling Mom. I adore weekend getaways with my husband. We try and do a few each year, especially during the summer and again around Christmas. The best is if we can just get in the car and only have to drive for a few hours. But, it still has to be to a top rated resort with all the amenities we love and want to use, like a lap pool for my triathlete’s swim training. 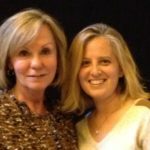 We have stayed several times at the Ocean House in Watch Hill, Rhode Island, and have consistently had a great experience. We spent Christmas Eve and Christmas Day there several years ago and it was just exquisite. We decided sort of spur-of-the-moment recently to take a weekend trip and tried to get in, but to no avail. 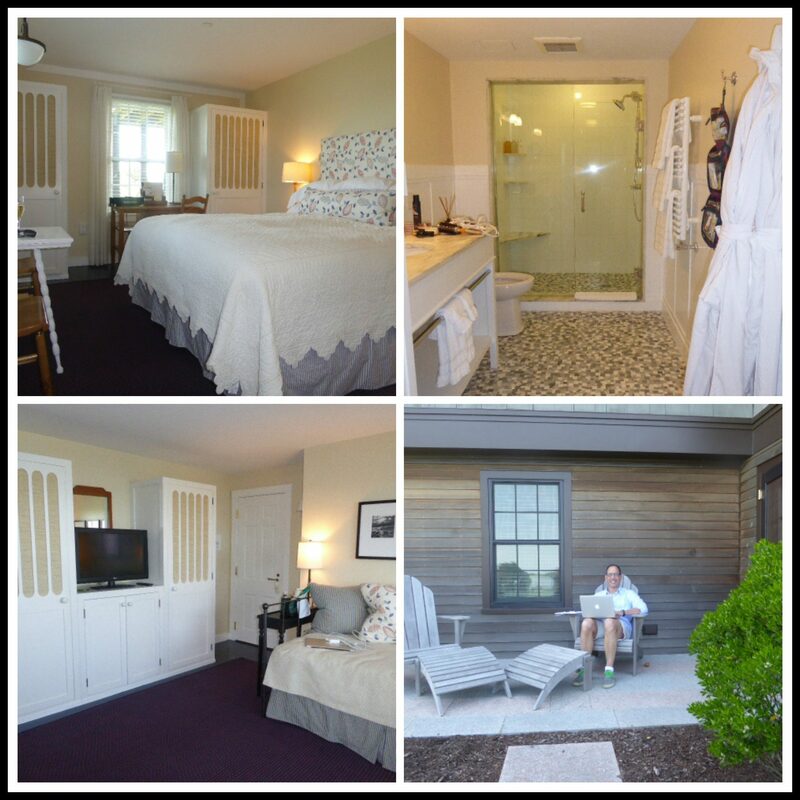 So, my travel agent recommended we try its sister property, Weekapaug Inn, and I’m so happy she did. Both properties are reminiscent of days gone by and sit on water, but they have very different atmospheres. The Ocean House gives you a more posh feeling like you’re aboard a luxury liner, whereas Weekapaug Inn is like being on a summer vacation on the lake, but only so much nicer! Some of the amenities at Weekapaug Inn, Rhode Island. Photo credit Sherry Wernicke, Triathlon Traveling Mom. The hotel is really ideal for kids with lots of outdoor activities. The resort provides a calendar of daily and monthly events, so you can plan well in advance if you see something you would really like to do. Clambakes, Food and Wine Pairing Classes, Model Sailboat Regatta, Movie Nights, and Dinner and Disney Tunes are some recent offerings. When you stay at either resort, you can use the facilities at both. So, I can sit on the private beach at Ocean House or take out a paddle board at Weekapaug. They also offer a complimentary shuttle if you don’t want to drive. It’s about 15 minutes. During the summer, they offer a SandCastles children’s program at Ocean House for kids ages 5-10, led by professional counselors from the YMCA. Each day is unique and combines artistic and intellectual enrichment with physical and outdoor activities. They even have a weekend evening program of dinner and a movie. The resort is truly year-round and you can enjoy festivities on many major holidays. It’s a very comfortable, yet upscale resort. It has a very casual, relaxed ambiance, with a quiet beauty. The Inn charges a daily resort fee of $32, which includes gratuities for all non-food and beverage staff, WiFi access, daily resort activities, and valet parking to name a few services. It just makes less to fuss with. There isn’t a spa on site, but you can always go to the OH! Spa at Ocean House. There is no gift/sundry shop on premise. There’s no golf or tennis, but you have access to area clubs. Room service is available only from 7am to 9pm, not all 24 hours. It’s not inexpensive, with rooms starting at $485/night and going up to $2,258 for a suite. Dining at the main restaurants also does not come cheap. Weekapaug Inn, Rhode Island. Photo credit Sherry Wernicke, Triathlon Traveling Mom. The resort is very convenient for people living on the east coast. It is right in between New York and Boston. It would probably not be very convenient for someone coming from another part of the country, but would be a perfect stop off point for people traveling up the coast. The staff all seemed quite young, but very accommodating and provided excellent service. When we informed them the espresso machine in the pantry wasn’t working, they brought us two to our room without asking. The hotel didn’t seem to offer any packages, but perhaps does off season. 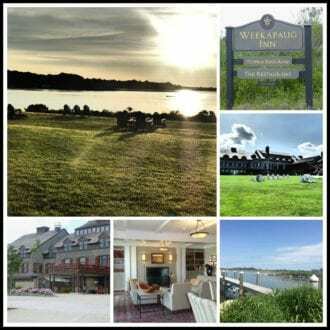 Within a very short drive, there is tons to do in the area, including Mystic Seaport, Mystic Aquarium, Essex Steam Train and Riverboat Rides, Block Island, state parks, wineries, Newport and its Cliff Walk and Mansion Tours, and the Submarine Force Museum, home to the Nautilus, which you can tour. 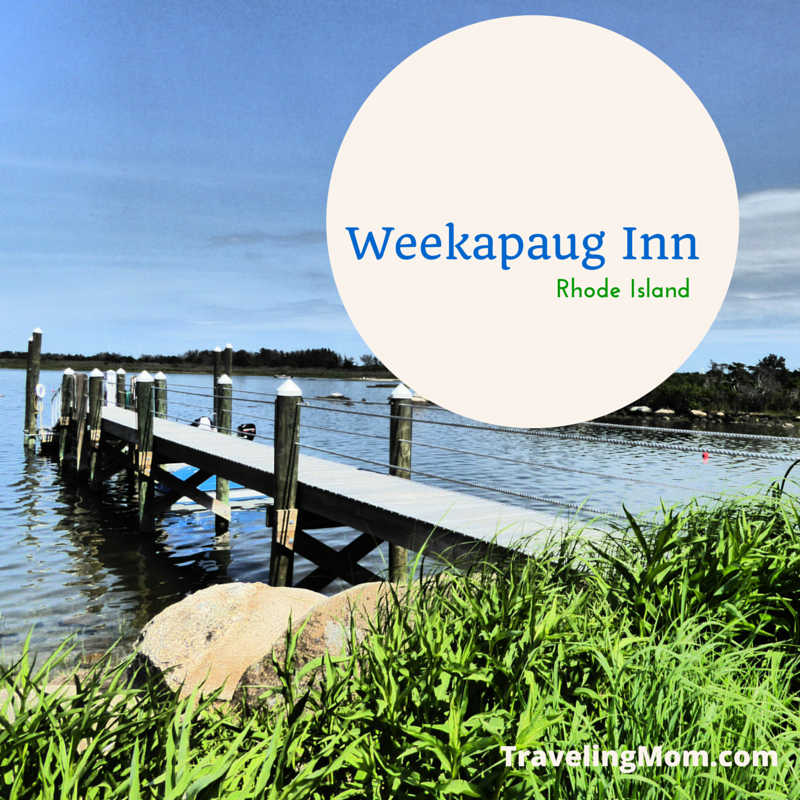 Weekapaug Inn is a small resort which is what we loved and made it easy to navigate. There are only 31 guest rooms and suites. It’s elegant, yet relaxed and serene and the dress is pretty much resort casual. The lawn expanse is gorgeous and made for games. What wasn’t to our taste was the furnishings, which is styled in the Arts & Crafts era of the early 1900s. There’s a lot of Stickley furniture that actually survived the hurricane of 1938, which forced the original hotel to close and reopen in its current location. That said, it certainly had no bearing on the enjoyment of my getaway. The one-bedroom suite at Weekapaug Inn, Rhode Island. Photo credit Sherry Wernicke, Triathlon Traveling Mom. We stayed in a one-bedroom suite, as our options were limited when we booked. What was nice was the patio overlooking the lake, where we sat reading and working – well, my husband anyway. In terms of decor, we actually preferred the rooms at the Ocean House as the Weekapaug was a little too rustic for our tastes. Being a luxury resort, it was a very comfortable room with all the necessary amenities and plenty of room. There was no TV in the bedroom, which at first was a bit disappointing, but it forced me to read before going to sleep or just going to sleep! We couldn’t ask for more in terms of the bathroom, but what a family would really appreciate is the three shelves in the shower that gave you tons of room to put everything out. Fire pit for s’mores every night. Bicycles available for your use. A really nice daily news brochure called Currents that gives you all the information for that day’s activities at both resorts. A complimentary pantry area with an espresso machine, water, sodas, and a few snacks. Complimentary iPads for guest use should you need. Gorgeous heated saline outdoor pool and bathhouse. My triathlete husband was in heaven. An indoor lap pool is available at Ocean House, but Weekapaug’s is much nicer. Access to a private beach with the Bathhouse, where you can get a locker, umbrella, chaise lounge, light meal, a frozen Del’s lemonade, and spend the day at the beach. Fitness center with yoga and fitness classes. Boating, kayaking, paddleboarding, SUP yoga (done on a paddleboard), and sailing. Lawn games set out, including bean bag toss, bocce ball, and shuffleboard, which my husband beat me at 2 out of 3 games, but I did beat him at checkers! Croquet is available at Ocean House. An onsite naturalist offers a multitude of activities, including for children. There are boat rides aboard the teak and regal Quonnie Queen or the InnSight motorboat that will take you on guided tours around the Quonochontaug Pond. 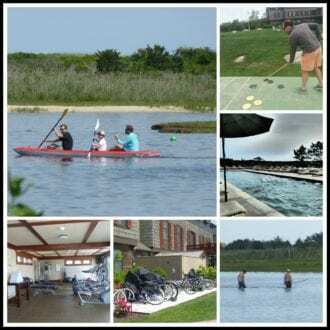 You can also choose from guided beach walks, kayak tours, crabbing, fish netting, and crafts. Dining at Weekapaug Inn and Ocean House in Rhode Island. Photo credit Sherry Wernicke, Triathlon Traveling Mom. Having access to both properties opens you up to many more dining options. Weekapaug has one main restaurant cutely called The Restaurant, and a more casual, SeaRoom during the summer, where you can get lunch fare, including a Lobster Roll! 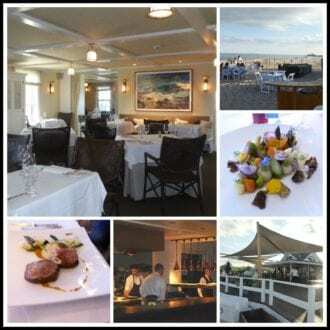 The Ocean House has fine-dining, Seasons, along with The Bistro and several outdoor choices. Plus, both offer Clambakes and Lobster Boils/BBQs during the summer months. What I love about both is that they are truly farm-to-table and get all of their ingredients from local producers. This also means the cuisine is seasonal. I was thrilled, because I had no problem getting vegetarian options at any of the restaurants with their focus on providing an abundance of fresh vegetables. They are also very flexible in their preparation and had my husband’s food allergies on file and knew that I am vegetarian. This was a really nice touch. The only issue I had to complain about was our lunch on Saturday at The Restaurant. While we dined inside, they brought a bag of terra chips with my husband’s chicken wrap that seemed really tacky. Plus, the service was less than stellar. I did fill out a survey after our stay and noted my displeasure. I received a very nice personal reply back from the Innkeeper. In addition to the resorts, the surrounding towns of Waverly and Westerly have multiple restaurants, including fish shacks that feature the local catch, all with a very beachy, relaxed atmosphere. We would go back to either the Weekapaug Inn or Ocean House without hesitation. They have everything we want in a resort and are just a few hours away by car. We get a fantastic getaway without the hassle. But, I think our preference is now going to be for the Weekapaug, mostly based on its smaller size, outdoor lap pool for my triathlete, and the pond/ocean option. But, hey, we can’t go wrong either way!